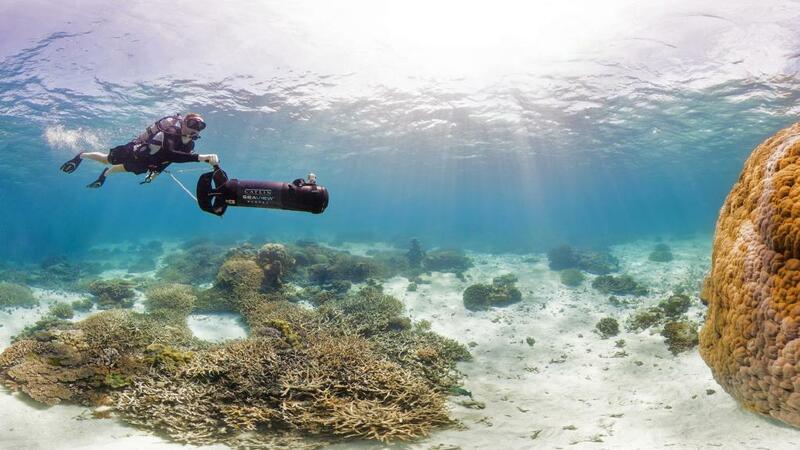 – In 2012 Panedia started a partnership with Catlin Seaview Survey project, working on a technical solution to capture high quality underwater 360 images. SVI was the first equipment designed able of capturing a high volume of data. Panedia had on the previous years developed systems able to deal with processing large amounts of data rapidly. Part of this content was added to Google Underwater Street View, now Google Oceans. – In 2013 SVII (a new version of the underwater capturing system) was developed and the GRR (Global Reef Record) was launched. – In 2014 Panedia started adding a small part of its vast content to Google Maps and registered record views, having reached 240+ Million views on its own content. If we add Panedia client’s content that we produced, like Sydney Opera House, Catlin Seaview Survey or Tourism Queensland, that number is about 440+ million. This project is ongoing and Panedia is proud to be collaborating now for 4 years with The Ocean Agency and Google on this huge task to survey the ocean, creating awareness for major climate issues like reef coral bleaching, ocean pollution and the need for reefs preservation. Panedia is also proud of its long path in the VR industry, having celebrated this year the 10th anniversary of the first panorama produced in Panedia systems. With a team that combines in between our 3 senior people more than 40 years experience, Panedia is one of the most experienced VR companies on the planet: we have been producing amazing VR content since the 90’s, that’s over 16 years.